DENVER, CO (December 13, 2004) – Go Fast Sports & Beverage Co. is set to launch the first energy drink in Ball Corporation’s new sleek 11.9-ounce can, in conjunction with a trade and consumer print campaign showcasing the first can of this size in the category, and the advantages of its size. With the new packaging, Go Fast sets itself apart from all of the other energy drinks in 8.4 and 16-ounce cans with 11.9 ounces and the new sleek can from Ball. “For the active energy drink consumer, the 11.9 ounce can is not too small, and it’s not too big – it’s just right,” said Heather Hill, VP Communications, Go Fast Sports & Beverage Co. “We have carefully paid attention to what the consumer wants, and we have tuned into what they are asking for,” Hill continued. In the new print campaign, Go Fast emphasizes the contemporary new 11.9-ounce size with simple, product and packaging-driven ads, which speak to the market’s demand that 8.4 ounces is too small and 16 ounces is too big. The ads highlight the fresh, sleek design of Ball’s new can through clean photography and design, also underlining Go Fast as a premium product in a category full of clutter. Formulated with health conscious consumers and athletes in mind, Go Fast Energy Drink and Go Fast Light offer a great taste; a longer, smoother, more-sustained energy boost; an exclusive blend of energy ingredients; Australian honey; NO PRESERVATIVES, NO HIGH FRUCTOSE CORN SYRUP and NO ASPARTAME. Now, with the 11.9-ounce serving size, Go Fast gives the consumer more of what they want – but packaged in the newest, stylish can. Distribution Partnerships are available for Go Fast Energy Drink and Go Fast Light in the sleek, 11.9-ounce cans. The new product will be released in late December 2004, and will have a suggested retail price of $2.19 – $2.29. $4.9 billion. 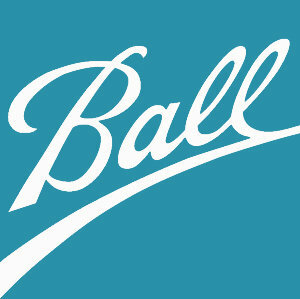 For more information, please visit www.ball.com.